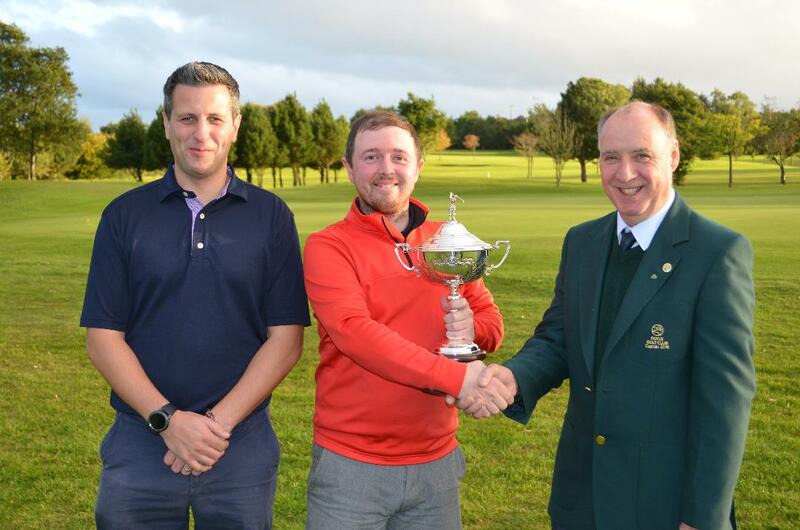 Mr Captain Eamonn O’ Kane congratulating Damien Mc Kenna on winning and retaining the Foyle Total Golf Sponsored Scratch Cup with Dermott Hegarty representing the Sponsor. 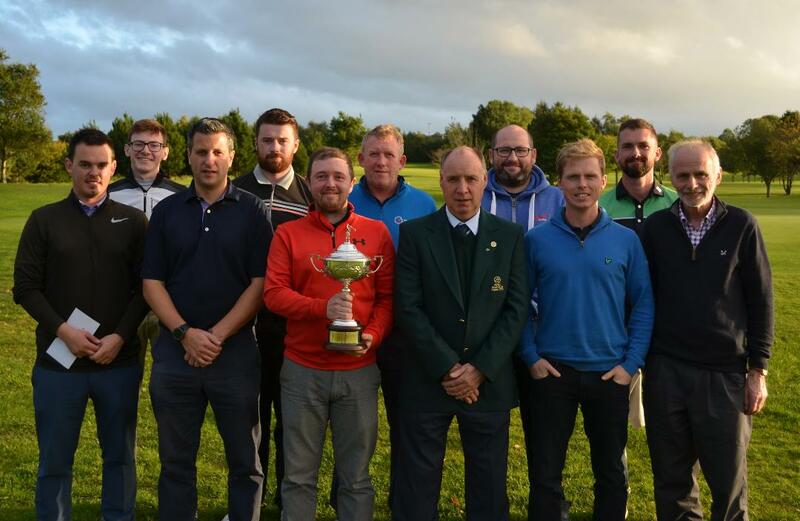 The Annual Foyle Total Golf Sponsored Scratch Cup took center stage at Ballyarnett on Sunday with a large turnout of visiting golfers from across the North West and further afield hoping to add their name to the previous winners of the Cup. Damien Mc Kenna came to the event having won the Ballybofey & Stranorlar Scratch Cup at the second tie hole after a play off against his friend and club mate Stephen Martin the previous day and was certainly starting as favorite to retain the title won in 2017 but Stephen Martin was hoping to keep his good form going and with it reverse Saturdays result. There was a host off other very capable golfers in the field namely Damien Mc Cusker scr from Moyola, Jordan Hyland 1, and Liam Bresnaham 2 from Omagh, Kieran Berryman 2 from Castlerock, and Foyle members Caolan Dunn 1, Shane Mc Clean 1, James Kelly 2 and Paul Mc Guigan 2 all very capable of winning the trophy. After round one Damien Mc Kenna held a two shot lead having returned an excellent 74 in very difficult playing conditions over Stephen Martin and Jordan Hyland who both scored 76. In the Junior Section Scott Kennedy returned an excellent 75 first round to lead by two shots from Sean Haslett and Moyola visitor Conor Mc Elhinney who both returned scores of 77 then he added an 80 for a two round total of 155 to claim the victory, Eoin O’ Neill from Strabane finished as runner – up after rounds of 79 & 81 for a 160 total. Overall Nett Kevin Mc Dermott 8 Nett 148 B.O.T. 2nd Round Nett Sean Mc Closkey N/ West 5 Nett 72 B.O.T.